Collect Flowers for spring rewards! - Play together with other players! 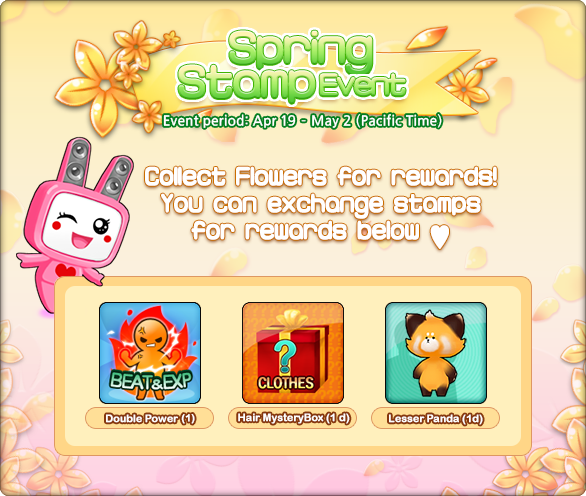 You can get Flower stamps to exchange for rewards! - Exchange Stamps to those rewards!